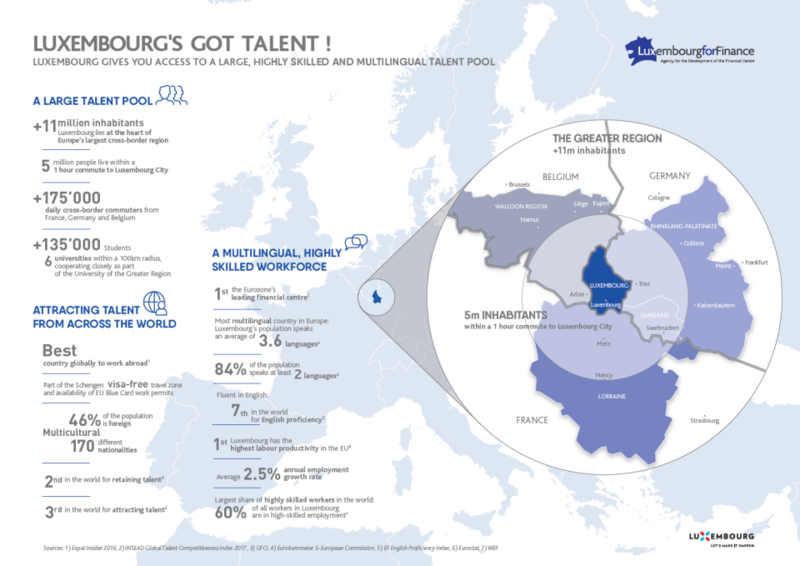 Cross-border thinking, mobility and the cosmopolitan nature of its workforce, of whom more than one third commutes each day from the three neighboring countries (Belgium, France and Germany), all contribute to the high productivity of Luxembourg. In an effort to develop the skills and talents needed, dedicated education programmes in logistics have been set up. These programmes complete the multiple training courses offered by many professional organisations in Luxembourg and its surrounding regions.